WARNING: SPOILERS THROUGHOUT THIS POST. I wasn’t an ardent fan of Marvel movies. I preferred the dramatic “seriousness” of the Nolan-era DC films and actually enjoyed Man of Steel. Iron Man and Avengers were O.K. when it came to Marvel, but Captain America: The First Avenger remained my favourite Marvel film of the MCU – probably because I liked the setting; that was an interesting era to have a superhero film set in. When it came to television, again I preferred DC’s Arrow to Marvel’s Agents of S.H.I.E.L.D. Like many, I thought that Agents of S.H.I.E.L.D. lacked the gravitas or substance that would afford it continued watchability. Those “missions a week” setups became tired after the third episode, and the fact that the creators were not drawing from such a wealth of material that is the extended MCU made me lose interest in this series. That was until I watched Captain America: The Winter Soldier. My entire conception of the MCU changed. I have recently become a big fan of Marvel, and of the direction the MCU is headed in. Marvel has been known as the studio with the massive special-effects laden films with little story, but right now, they are doing things with the art of storytelling that have perhaps never been done before. Things that are innovative and extremely compelling. I, along with many others, was very wrong in dismissing Agents of S.H.I.E.L.D. as a show that wasn’t connecting well with the extended MCU. Because all along, Marvel was playing us, subtly having the entire universe linked, setting up events for a massive reveal in Winter Soldier and the subsequent episode Turn, Turn, Turn from Agents of S.H.I.E.L.D. Dissolving S.H.I.E.L.D. is probably the best thing Marvel could do to ensure their universe moves forward. Now we have some serious disarray that can really disorient our characters, leading to infinite possibilities of where things could go. Proper conflict. We, just like the characters on the show, don’t know who to trust. Having Hydra infiltrate S.H.I.E.L.D. at its inception means that there are some deep questions about S.H.I.E.L.D.’s actions of the past, and the justification thereof. Having a tentpole movie introducing the Hydra threat shows the large-scale catastrophe caused, and then the following episode on Agents of S.H.I.E.L.D. brings things into perspective on a smaller, more intimate scale – of just how these events have impacted the unassuming operatives of S.H.I.E.L.D. – ordinary humans without superpowers to defend themselves (albeit badass fighting skills). This is truly innovative storytelling, where we get to experience a major event from different angles on different formats so close to each other. 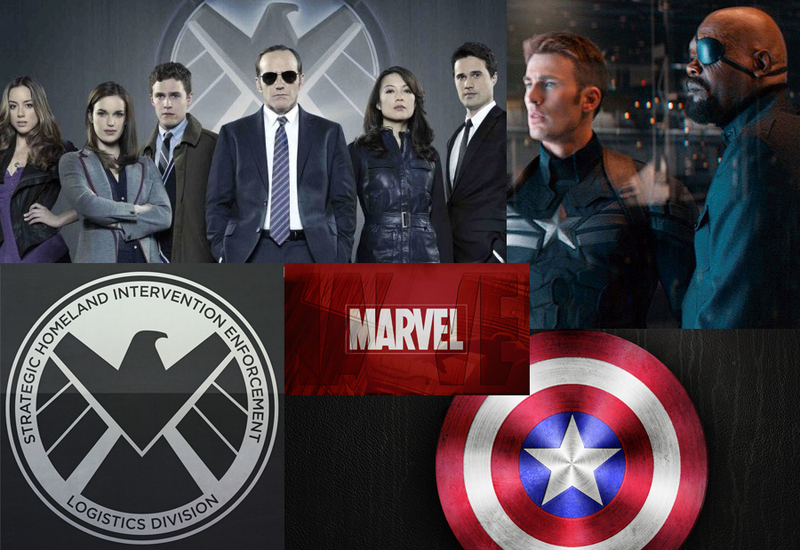 The way I see this, S.H.I.E.L.D. is central to everything that is currently happening in the MCU. This entity is the pivot point upon which Agents of S.H.I.E.L.D. and the extended MCU have been held precariously, and with Hydra’s re-emergence, that balance has been broken and the two have cascaded into each other – just the thing us viewers have been aching to see for so long now. Agents of S.H.I.E.L.D. is finally the Marvel show I want to watch – it doesn’t just have flash-bang-action, but a genuine storyline that is compelling and that makes it a strong force within the broader arc, actually able to hold its weight with the larger films that surround it. Agent Ward’s actions in the cliffhanger at the end of Turn, Turn, Turn, and the use of the Hydra logo instead of the S.H.I.E.L.D. one to end-off the episode, leave so many questions that, coupled with the conclusion in Winter Soldier, makes us as the audience actually feel like a character in the MCU. I can’t wait to see what they’re up to next. Well played, Marvel. Well played indeed. I have also always been more of a DC fan and also recently become a Marvel fan (mostly due the “The Young Avengers”), but my main source of anticipation in the Marvel movie universe is the inclusion of Scarlet Witch AKA Wanda… When they teased her in the new captain America alongside her brother, I completely freaked out in the cinema. She’s arguably one of the most powerful and pivotal characters in the Marvel universe, both for the Avengers and the X-men and yet her personal story and development is so complex, I am personally excited to see how somebody so multifaceted is handled in the movies. Yeah, that end credits scene was great! It will be interesting to see how they handle their back stories given that the X-Men property isn’t owned by Disney (who own the rights to the Avengers arc but not the X-Men franchise).